Asthma is a chronic inflammatory respiratory disease. It can affect people of any age, but often starts in childhood. Asthma can change throughout a person’s life, across the year and from day to day. In the UK about 5.4million people are on treatment for the condition. New tests to help diagnose asthma and a change in how medicines are offered can help people take control of their asthma, the National Institute for Health and Care Excellence (NICE) says in updated guidance. NICE recommends objective tests, which include spirometry and FeNO (which measures nitric oxide), to help achieve more accurate diagnosis of asthma. A significant change is a recommendation that people whose asthma is not managed by a steroid preventer inhaler should be offered leukotriene receptor antagonists tablets for up to two months rather than moving straight onto a combination inhaler. This move will save money, NICE says, though it differs from established guidance from the British Thoracic Society and Scottish Intercollegiate Guidelines Network (BTS/SIGN). The main symptoms are wheezing, breathlessness, a tight chest and coughing. Severity of symptoms varies widely. The condition is characterised by attacks associated with variable airflow obstruction and inflammation in the lungs. If left untreated, attacks can be life-threatening. The lining of the airways in the lungs temporarily narrows, making breathing harder. This happens when muscles around the airways tighten, the lining becomes inflamed and there is swelling and a buildup of mucus. This response can be caused by a trigger or spontaneously. Risk factors include a family history of asthma or related allergic conditions, such as eczema, being born prematurely and having bronchiolitis as a child. Being exposed to smoke as a child or having a mother who smoked during pregnancy also increases risk. Offer an asthma self-management programme, comprising a written personalised action plan and education to all adults and children over five (consider a plan for those under five). Monitor asthma control at every review and if suboptimal check medication adherence and inhaler technique. Observe and give advice on the person's inhaler technique following an asthma attack, a deterioration in control, when a device is changed, at every review and on patient request. Consider decreasing maintenance therapy when a person's asthma has been controlled for at least three months. ‘Nurses should be aware that asthma can still kill, and educate patients not to be complacent. 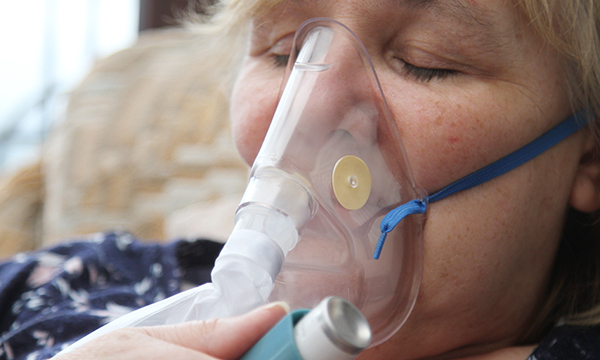 Nurses should ensure they carry out basics at a routine asthma review, such as checking inhaler technique, identifying triggers and co-producing a personal asthma action plan with the patient. ‘Health professionals should provide education on the role of an inhaled steroid, which is the cornerstone of treatment. There are important differences between the new NICE guidance and the established BTS/SIGN guidance in how the condition should be diagnosed and treated.